LIPSCOMBE SWAN are a musical duo made up of two guys from the Nelson area in New Zealand. 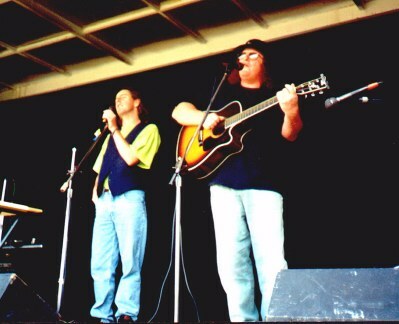 LIPSCOMBE SWAN have been performing around the South Island of New Zealand for two years, performing a style of music that vanished with Simon and Garfunkle. They both love the acoustic style and are finding that people everywhere have missed the gentle vocal harmonies and powerful ballads that this style produces. 1. ORIGINALS. Featuring the songs of Mike Lipscombe, this show is all about New Zealand and it's people, environment, and it's humour (and it's sheep)!! 3. JOHN DENVER TRIBUTE SHOW. A nostalgic and poignant look at the songs that made Denver famous. 4. THE BEATLES Featuring many of the Beatles hits and some of their more obscure ballads.